Pharmacists play a key role in providing quality healthcare to patients. Working in the community, pharmacists use their clinical expertise together with their practical knowledge to ensure the safe supply and use of medicines by patients and members of the public. Many pharmacies in the local area offer the ‘Think Pharmacy’ service. 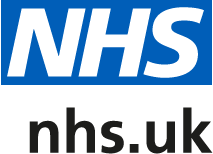 This service is an alternative to visiting your GP, making it easier for you and your family to get healthcare and advice on minor ailments at a time that suits you. Pharmacists can also offer advice on common problems such as coughs, colds, aches and pains as well as healthy eating and stopping smoking. You can talk to your pharmacist in confidence, even about the most personal symptoms and you don’t need to make an appointment; most pharmacies now have a private consultation area where patients can discuss issues with pharmacy staff without being overheard by other members of the public. Consultations are always free and confidential, regardless of whether the pharmacist gives you any medication.